​The Ottawa Senators are a dumpster fire which stays lit year-round, consistently fueled by potential changes in ownership and social media wars between the wives of their best players. Considering Erik Karlsson's wife was at the center of this attack--and that the star defenseman is in the final year of his contract, it makes perfect sense that he'd want out of a disastrous hockey franchise that continues to one-up itself into the dark abyss of NHL purgatory. But, where should he not go under any circumstances? ​Vancouver! Don't even get me started. Vancouver has a bright future somewhere in the distance, but just last season they finished in the bottom-two in the conference with some of the worst blue-line pairings imaginable. The Canucks have prospects galore, and could surely offer the Senators an impressive package the likes of which they won't receive elsewhere (even Vegas). Look no further than Quinn Hughes, one of the top defensive prospects from this year's draft. The Canucks are making the right choices for their future, ​and mortgaging all that potential for maybe one year of a defenseman nearing 30 makes zero sense for either side. As seen on @timandsid, the #Canucks are reportedly interested in acquiring Erik Karlsson. 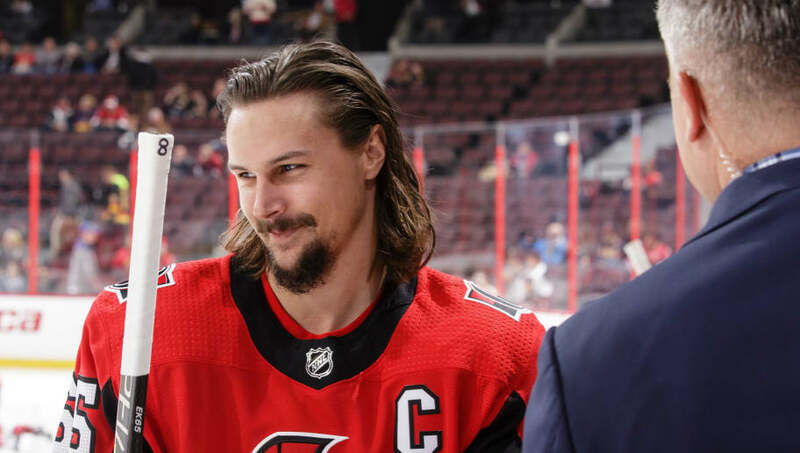 From Karlsson's perspective, a long-term future in Vancouver would waste the remaining years of his prime, while he should instead be focused on winning Cups when he still has the ability to lead by example, not just the symbolism of a 'C' on his chest. Lastly, this would be a brutal move for the league as a whole. Emerging markets like Las Vegas and Tampa Bay offer Karlsson a chance to market himself in areas starving for real talent (outside of Stamkos and Fleury). Karlsson gives both these teams dynasty potential, and two ownership groups that have already proven their commitment to winning matches their check books. The NHL has enough trouble marketing its stars. While Vancouver is an established hockey market, throwing Karlsson on an average-at-best team in the Western Conference isn't any way to salvage his remaining years as an elite-level player. Ottawa surely doesn't deserve Erik Karlsson, but Vancouver isn't far behind.